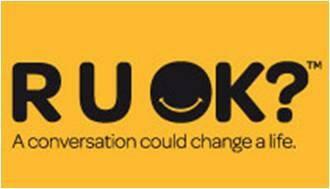 R U OK?Day is an annual day in September dedicated to remind people to ask family, friends and colleagues the question, “R U OK?”, in a meaningful way, because connecting regularly and meaningfully is one thing everyone can do to make a difference to anyone who might be struggling. Many Australian celebrities and athletes have enlisted as ambassadors and supporters to help raise awareness. Well known faces like Hugh Jackman, Naomi Watts, former football player Wendell Sailor and gold medal Olympian Libby Trickett continue to champion the cause. 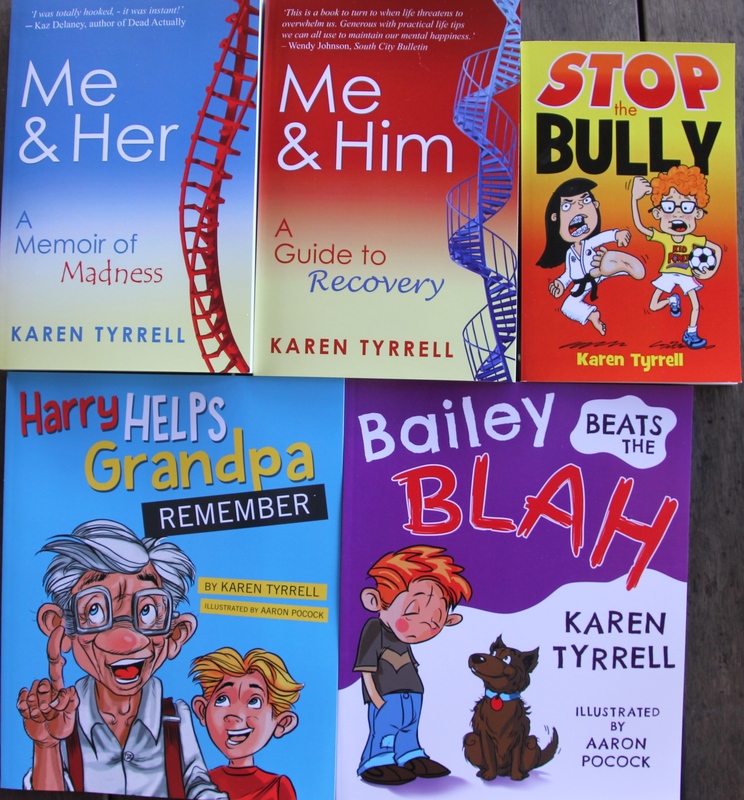 Karen Tyrrell is the award winning author of Me and Her: A Memoir of Madness and Me and Him: A Guide to Recovery, Karen’s recovery from parent-teacher bullying and mental illness. 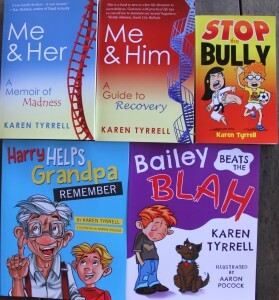 STOP the Bully, Bailey Beats the Blah and Harry Helps Grandpa Remember. 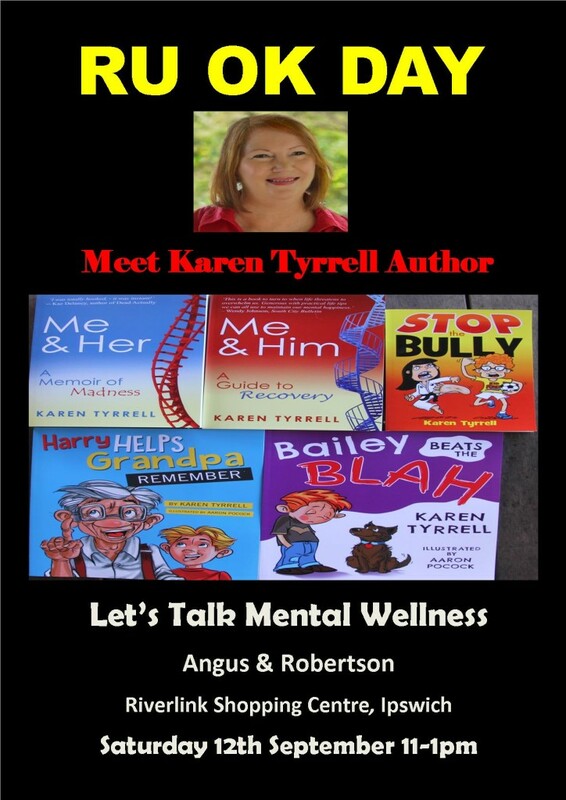 Karen is an award winning resilience author, teacher and mental health advocate. She’s won two mental health achievement award, a mentorship, and three grants. Karen has shared her tips to recovery and wellness to an Acute Mental Health ward, Sanity Fair festival, to Telstra managers, schools, libraries and conferences. When’s my Free RU OK event? Love to see you there and have a chat. Thanks for spreading the word and asking people … RU OK?